Lancaster, Sunday, 18 March, 2018. It was a monumental task, and the effort required pushed them to the limit. There must have been times when they never thought they’d make it. But with sheer grit, determination, patience, and plenty of will-power, they persevered. It took an age, of course, but finally, there was light at the end of the tunnel. Amid huge sighs of relief, they’d done it. There was much to do in preparation for the race. 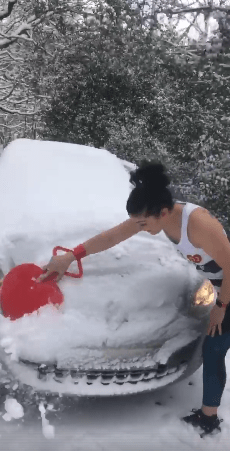 Here, Laura captures friend Becky Allatt clearing the car of snow so that they could get going. Of course, with it being Spring, there was no need to wrap up. And then, having cleared away all the snow, they got in the cars and set off to Lancaster. 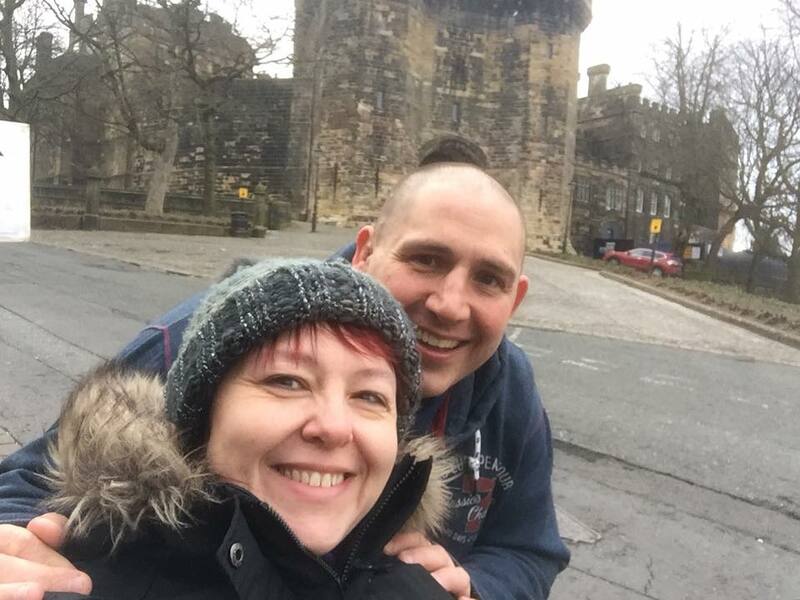 Meanwhile, up at Lancaster, Brett and Rachel find there’s no snow and wonder if they’ve come to the right place. Behind them, Lancaster Castle was, up until quite recently, one of HMS’ Establishments (prison). Brett and Rachel won’t be hanging around though. 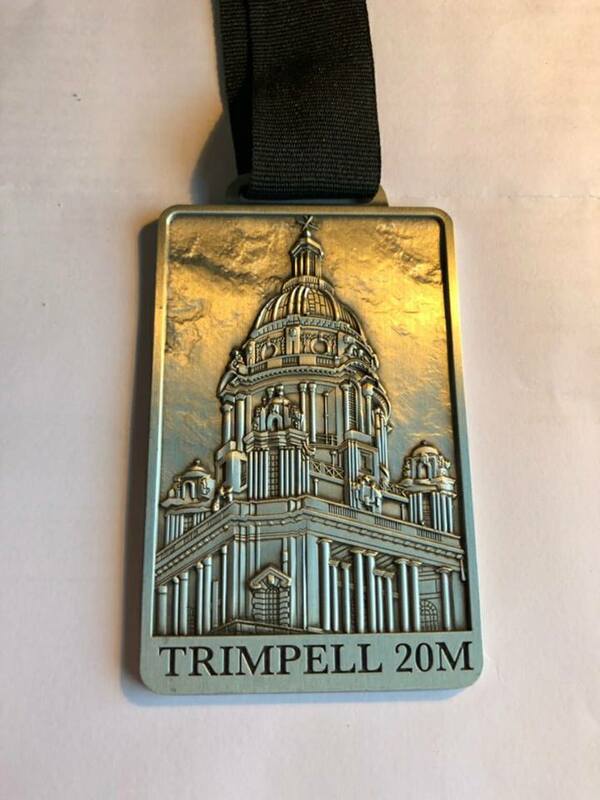 Yes, the Trimpell Twenty asked much of three intrepid Pumas, not solely of the course itself, for with snow lying several inches deep in and around Halifax, there were serious questions as to whether they’d manage to get up to Lancaster at all, such were the conditions. But yes, they got there safely, only then to deal with the next obstacle, that of sauntering (in freezing conditions) around the city of Lancaster. Laura finds her ‘Miss Motivator’ Gayle Forster and doesn’t want to let her go. I have it on good authority that Lancaster and the west coast of Lancashire in general was bereft of white fluffy stuff, and the locals may have thought that Brett Swiffen and Rachel Calvert, and Laura Fairbank who, with her good friends Becky Allatt and Karen Hood, made up Team RLF, were making things up when they regaled the them with tales of drifting snow that had left many roads impassable. The aforementioned were all using the race as training for their London Marathon, which, as if they need reminding, is but five weeks away. It was cold, granted, but all-in-all, it was like a different world. The runners gathered in front of the entrance to Lancaster Castle, a tourist attraction on a good day and perhaps a better option than having to run twenty miles on this, and at 11.00am they were heading off on their way, travelling along Castle Park, picking up Long Marsh Lane and meandering along the tracks through the trees before crossing the River Lune and following the path that initially runs parallel to Morecambe Road for a good two miles. The route, through a line of trees, then veered off left for a triangular clockwise circuit around Trimpell Sports and Social Club via Out Moss Lane then heading back towards the city centre, having accomplished five miles before they crossed the River Lune on the return. 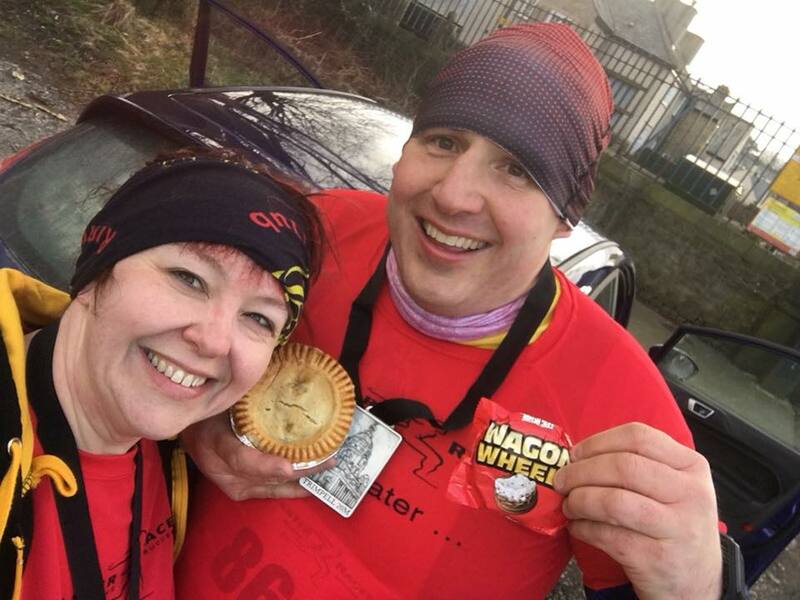 The runners then headed out north, across parks and woodland with the Lune on their left, then crossed the river on the A863, a dual carriageway that headed out for what seemed an eternity. The general consensus hinted that this was the hardest part of the course, the Bay Gateway, but they had to tackle it, almost two miles out before doubling back and making the return trip, passing the sixteen-mile mark along the way. The route crossed the river once more, then took the runners on a loop section before picking up the track that took them back to the centre, the Lune now on their right hand side. Everything by now was in reverse (possibly even the legs) and in time, having run through the familiar woodland and tracks, they re-entered Long Marsh Lane and headed for the finish back at Castle Park. The pained look on Laura’s face was definitely not for effect. She climbs the last hill and the finish is just almost there. Facing at times a gale force wind, and having to tackle a hideous hill just before the finish, you could say that the race was far from easy, and it was won by Martin Green of North Wales Road Runners in a time of 1:55:47. 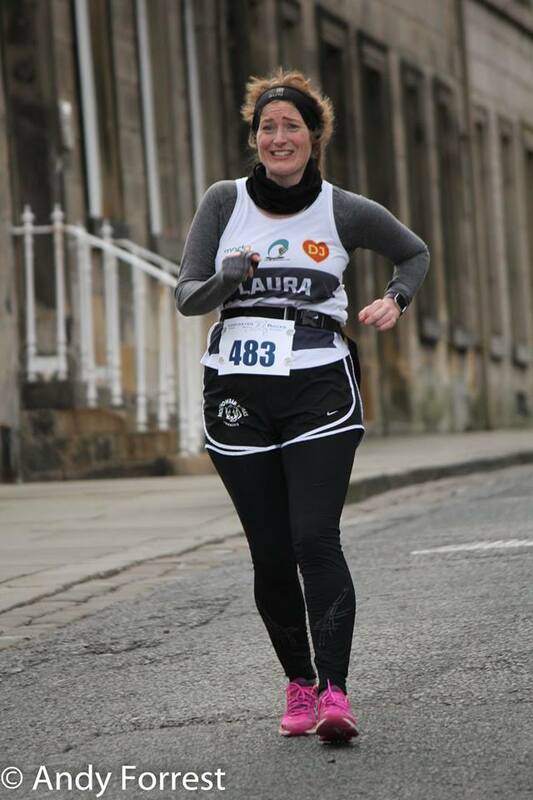 For Laura, the twenty-mile course was torture, particularly as, only two miles in, she was struggling with her knee. 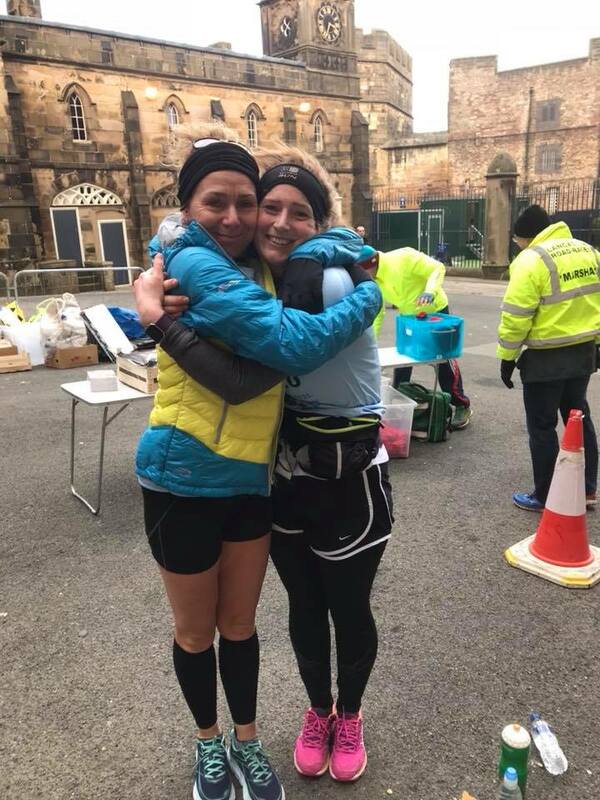 Fortunately, she had, in the form of Gayle Forster, a nifty runner by all accounts, but one that has been encouraging Laura via social media and a saviour on the day, running with her for the most part to help her through the ordeal. They met for the first time at Lancaster but her support for Laura was unequivocal. “Gayle has been so supportive to me and my running. 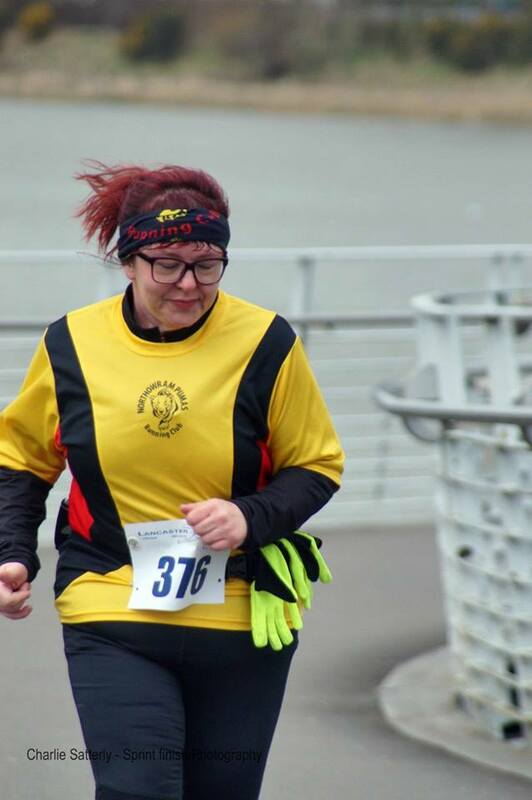 She came to run at my pace in the freezing cold and she was absolutely amazing,” said Laura, who felt sure that she would have given up the ghost without Gayle being there. Laura dug in deep and finished the course in 4:26:50. The relief is clear to see as Rachel and Brett surmount the final hill and now have the finish line in sight. As for Brett and Rachel. They’d had two sessions of hypnotherapy in the build up to the Trimpell 20, and the sessions clearly paid off. Said Rachel, “I can’t tell you how amazing today felt! It was easier than the three half marathons I’ve run even though my body was battered and crying out in pain. My mind won over!” Brett’s had his own battles over the years, but as Rachel added, “He is my inspiration! We’ve had the toughest nine months and faced challenges no one knows about, but we are so strong together, there is nothing we can’t face now!” What did it matter that the pair brought up the rear of the 516-strong field? Their aim was to get around, and though it took them nearly five hours, they did it! And anyway, sometimes it pays. By the time they returned to Blighty late Sunday afternoon, the worst of the snow had gone! All done and dusted. Brett and Rachel can’t wait to tuck into a hearty breakfast. In the meantime, their reward of pie and Wagon Wheel will have to do. 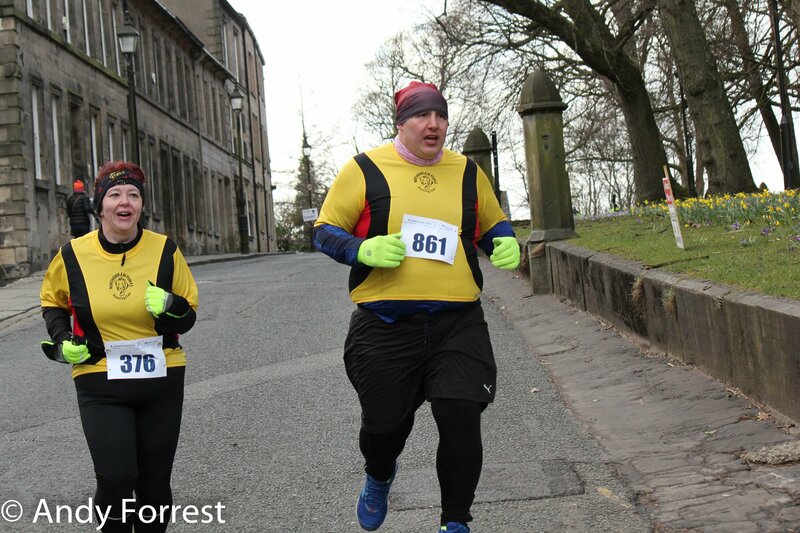 Photos supplied by Sprint Finish Photography and Andy Forrest.